Nigeria is on the path of meeting our national requirement for rice through local production. This is in spite of insinuation by some faceless people that there is shortage of paddy, a basis for their growing subtle agitation for rice importation. Such an agitation, if taken seriously, has a tendency to mislead, confuse and deceive Nigerians into believing that nothing is happening in addressing our perennial national rice shortage. The false assertions probably emanated from the fears of traders who have failed to recognise the rapid transformation of Nigeria from importing and trading culture to self-sufficiency in rice production. Under the rice transformation agenda, the federal government, through the activities of the ministry of agriculture and rural development, is closer to meeting, in 2013, the projected target of replacing 2.1 million MT of rice we annually import. This is two years earlier than the 2015 earlier projected. Results from the field show that, by 2013, we would have produced enough paddy, about 3.23 million MT, to give over two million MT of milled rice. This is the first time ever that the federal government is supporting dry season in the northern part of Nigeria, an initiative that is receiving unprecedented response from the farmers who are rushing to rice production, as a result of federal government’s support. Under the government intervention, beneficiaries receive free seeds and additional support in form of fertiliser. Fertiliser blending plants and importers provided large quantities of fertilisers far beyond the demand of Nigerian farmers and for the first time fertilisers were available in all the local government areas of Nigeria for farmers to buy. 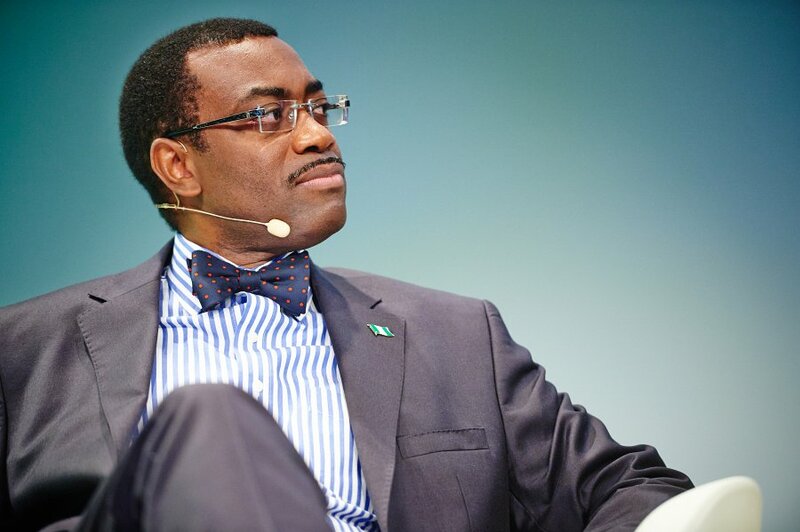 Fertiliser companies sold 15 billion Naira worth of fertilisers directly to farmers, instead of to government, as was the case before Adesina's radical fertiliser sector reforms. Seed companies sold 1.5 billion Naira of seeds directly to farmers. After setting the target, the Minister of Agriculture and Rural Development, Dr. Akinwumi Adesina, within the context of Agricultural Transformation Agenda (ATA), in mid 2011, took the first practical steps, restructuring the input delivery arrangement by completely privatising and deregulating it. The ministry held several meetings with input providers, leading to agreements to produce 15,000 MT of Faro 44 and Faro 52 and large quantities of fertiliser. Soft loan facilities were arranged and provided in commercial banks to facilitate the initiative. SEEDAN, the umbrella body of commercial seed producers, and fertiliser companies secured loan and embarked on massive production of improved seed and fertiliser for 2012 cropping season. By April 2012, 11,800 MT of Faro 44 and Faro 52, and small quantities of upland rice varieties, were produced for distribution free to farmers who had almost lost the culture of the use of improved seed to enhance yield. The 11,800 MT of seed planted 236,000 hectares of low land rice and some hectares of upland rice in Ogun, Ekiti and Southern Kaduna states. At an average yield of 2.5 MT per hectare, 590,000 MT of paddy was produced in 2012, under ATA. It was estimated that another 200,000 hectares of rice was planted under different ecologies by subsistent farmers at low level technology. This in turn would give additional 400,000 MT at 2.0 ton per hectare. Before the launching of rice transformation agenda, not up to three integrated mills were operating at the same time in Nigeria. But by December 2012, due to sensitisation efforts, 15 integrated mills were operating at the same time under private sector arrangement and by the third quarter of 2013, up to 25 such mills are expected to be in operation across the rice growing ecologies in Nigeria. The milling capacity of these mills has been estimated at over 850,000 MT per annum, while there is a plan to add 40 mills by the government, to be completely privatised. By December 2013, the total milling capacity of all the integrated mills will be over 2.0 million MT per annum. They will be producing high quality rice comparable with the highest grade of imported rice. 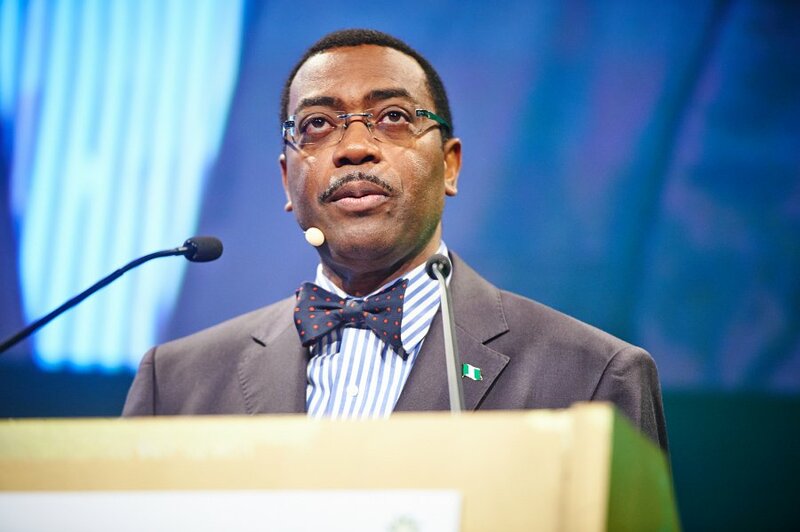 To augment paddy production, the initiative on dry season paddy production, initiated by the minister of agriculture, Dr. Adesina, emerged as a national policy on food security in response to the rapidly increasing number of high quality rice mills which are putting pressure on paddy supply. Dubbed "double up rice production", the goal is to produce rice in both main and dry seasons to meet national rice paddy needs. 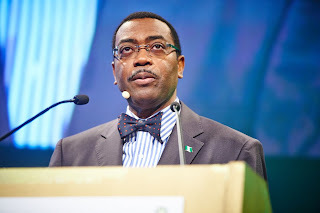 According to Adesina, who works with relentless passion as an agriculture evangelist, "every suitable land for rice will be cultivated across Nigeria. We will not allow unscrupulous rice importers to derail Mr. President's policy for self sufficiency in rice. We will feed ourselves and do so with pride." In its first season, starting in November 2012, farmers in ten leading rice-producing states of Kebbi, Sokoto, Zamfara, Katsina, Kano, Jigawa, Bauchi, Gombe, Niger and Kogi were empowered to go into dry season paddy production. Each received free 50kg of seeds, two bags of 15-15-15 NPK and one bag of Urea. Clusters were also assisted with water pumps to bring water to the fields. An interim report has just shown that, apart from Katsina, which is yet to submit reports on the number of farmers and the estimated tonnage of paddy production, all the nine other states together have recorded a total of 147,520 participating farmers, expected to have risen to 170,000 by the end of March, and a total of 590,680 MT paddy, with the highest farmers population of 45,688 farmer and highest output of 182,752 MT coming from Kebbi. By 30th March, a total of 170,000 farmers would have gotten seeds to plant one hectare each, translating into 170,000 ha of rice. Average yield of cereal crops, especially rice is higher in the dry season and is expected to be 4mt of paddy per hectare. This dry season scheme will generate 680,000 MT of paddy between now and June 2013, enough to keep 20 integrated mills running till the main season of 2013 crop harvest. Total paddy production in 2012 is estimated at 1,670,000 MT. With 31,000 MT of improved seed now ready for distribution to farmers, to plant 620,000 hectares of land for 2013 wet and dry season rice cultivation, at an average yield of 3.5 MT per hectare, about 2,170,000 MT of paddy is expected, which, considered in isolation, is close to narrowing the perennial supply gap. Expanding the 2013/2014 dry season paddy production scheme to other agro-ecological zones and putting at least another 300,000 hectares into production to double, at least, to 300,000, we will produce additional 1,200,000 MT of paddy. This will raise the estimated paddy production for both dry and wet seasons in 2013 to 3.37 million metric tons. Arrangements for collection, marketing and sale of rice are bringing encouraging responses. USAID MARKETS has been involved in rice development project in Nigeria for some years and its experience will be useful under the government’s intervention on rice. In its collaboration with USAID MARKETS, the federal ministry of agriculture is working to set up paddy-buying arrangement in various rice-growing ecologies. This will facilitate purchase of paddy from small holders and sale to large mills to enhance their performance. A member of the National Assembly, Hon. Munir Baba Dan, deputy chairman of the House Committee on Agriculture, who has been monitoring things on the ground in the north, was full of praises for the minister of agriculture. 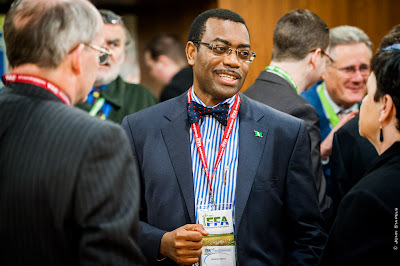 "This is the first time ever the federal government will support dry season agriculture. We have never seen anything like this before. The dry season rice production in the north is massive and there will be bumper paddy harvest," the lawmaker observed. According to him, "this minister has radically changed the face of agriculture. The results are not on paper; they are visible for all to see. Farmers are coming out in large numbers in response to his policy initiatives. I have no doubt that, with the approach of the federal government working so closely with states and local governments, Nigeria will soon become self sufficient in rice."